All Coast Banga Vol 1. 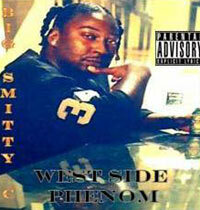 Hip Hop R&B West Coast Down South, is performing Sunday at Club Else. The main artists Sunday are 1Choumedan, Big Smitty C of Da WestSidaz with two guest artists. A group of DJ’s-- including Deb-Low and Deejays Franchize-- will spin the hip hop and R&B tunes. The dancers are S-Crew and Fantastic 5, and guest rappers include Rick-C, Complex, and DDS who also will MC the event. Admission is $15.00 or ¥1,500. Doors opens at 9:00 p.m., with the performance starting at 11:30 p.m. Free Shots of Tequila or Tequila Rose are being offered to the first 50 customers. For more information, call at 090-9783-4565. Club Else is located in Okinawa City Nakanomachi area, just off Highway 330 behind the pay parking lot on the former site of Club Pyramid.